Paleo French Toast | With ALL THE TOPPINGS! Paleo French Toast | Yes. We Said Paleo French Toast With ALL THE TOPPINGS! 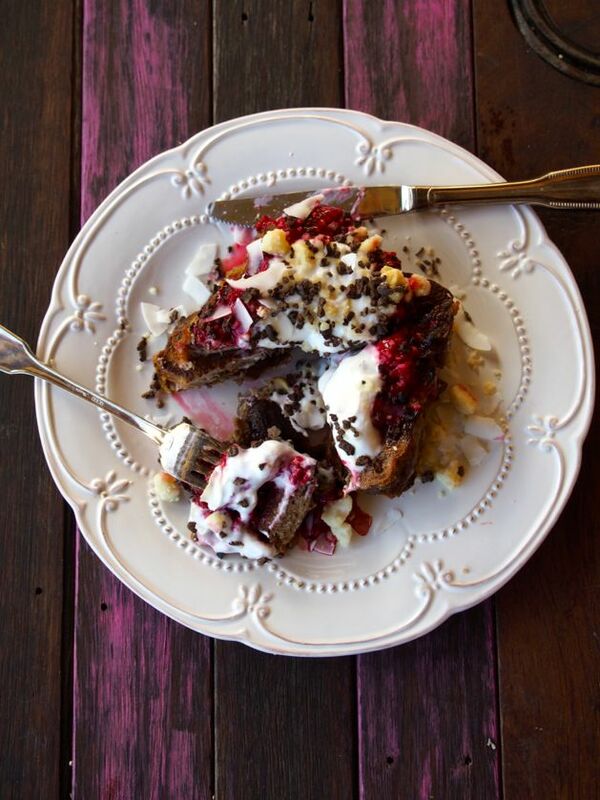 ‘Create a Paleo French Toast recipe’ has been on our to-do list for waaaaay too long! It was so good… we took SO many photos because it was so pretty. 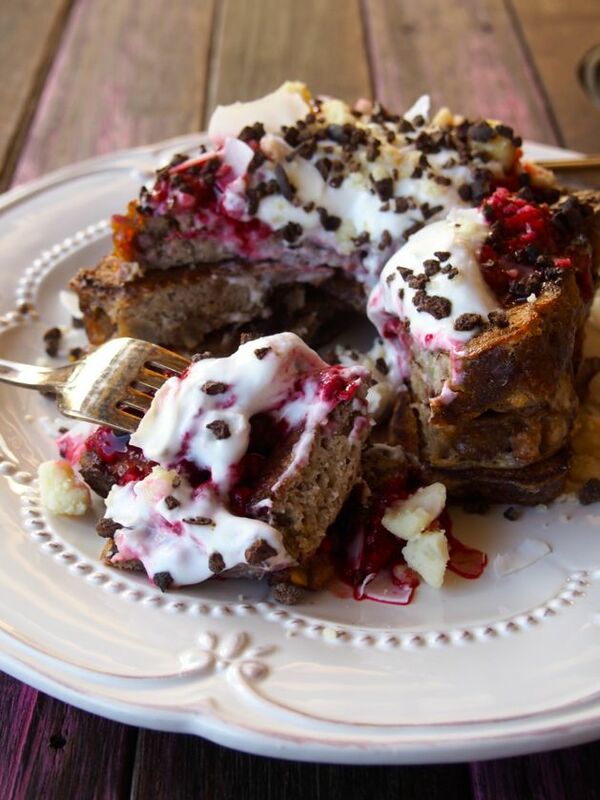 Paleo French Toast Recipe… MUST. MAKE. NOW! The reason it hasn’t happened sooner is because there’s no such thing as left over Paleo Banana Bread in merrymaker land. Seriously? Left overs? Nope, it all gets enjoyed (by us.. and of course our friends…!). We love to share the healthy sweet treat love! This time round we made sure we baked a loaf of our Paleo Banana Bread SPECIFICALLY to make Paleo French Toast. So yes, you will need to bake a batch of our banana bread before you can whip up this totally amazing recipe. Our Paleo Banana Bread featured in our new book Make It Merry! OR if you want to go for a savoury kind of french toast, you could ALSO use this Pumpkin Bread Recipe… but like… that would be pretty much egg dipped in egg then fried… which isn’t a bad thing (we think it would actually be really yum) but egg dipped in egg then fried may, or may not be your style. Anyway! The point is that you need to make BREAD before you can make paleo french toast. The second point is that it is necessary for you to top your Paleo French Toast with ALL THE TOPPINGS. We say go topping crazy. One – it tastes amazing and two – it makes for a super impressive Instagram snap oh and three – toppings are FUN! 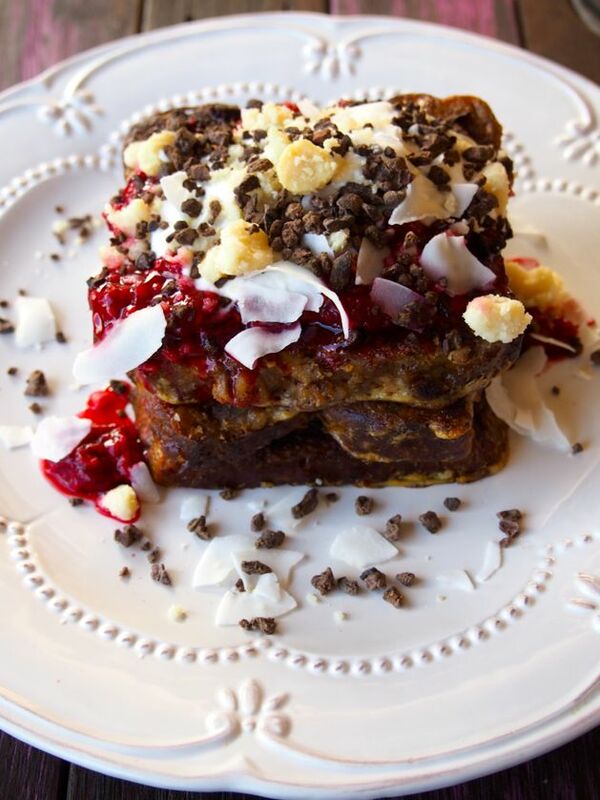 We used coconut yoghurt, cacao nibs, macadamia nuts, toasted coconut, berries and melted sugar free chocolate… because when you Paleo French Toast you gotta go all out or nothing. 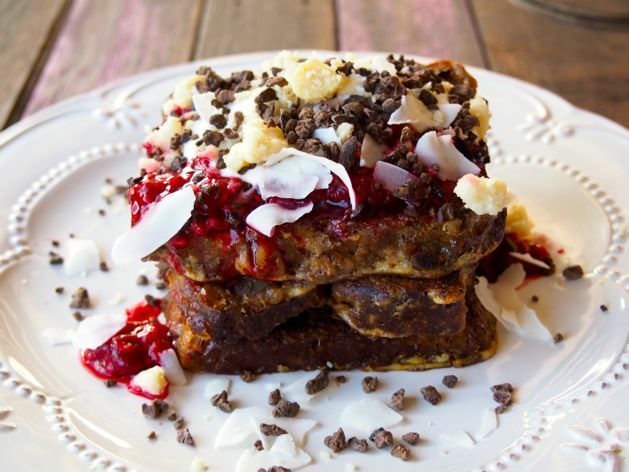 We want to see YOUR Paleo French Toast creations with ALL THE TOPPINGS! 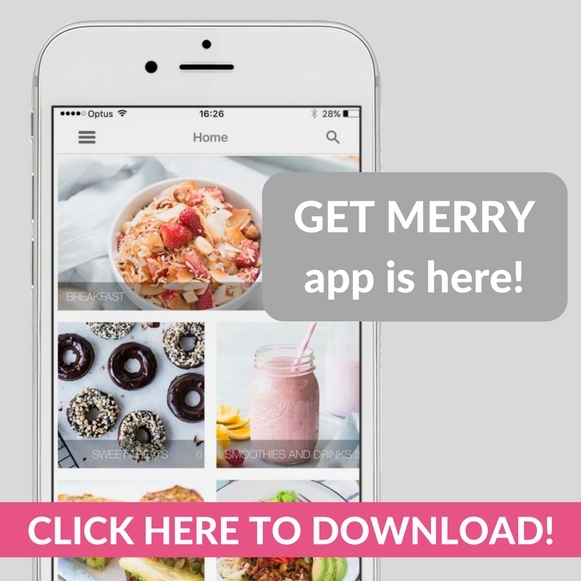 Share your epic shot with us on social media using #themerrymakersisters and join our Merrymaker Life Facebook Group! Cook your banana bread the day before (or couple days before!). Heat a large fry pan to medium and melt the coconut oil. In a small bowl whisk the eggs, coconut milk, vanilla and salt. Lightly coat the banana bread slices in the egg mix and place in to the fry pan. Cook for around 5 minutes, or until browned, flip and cook for a further 5 minutes. 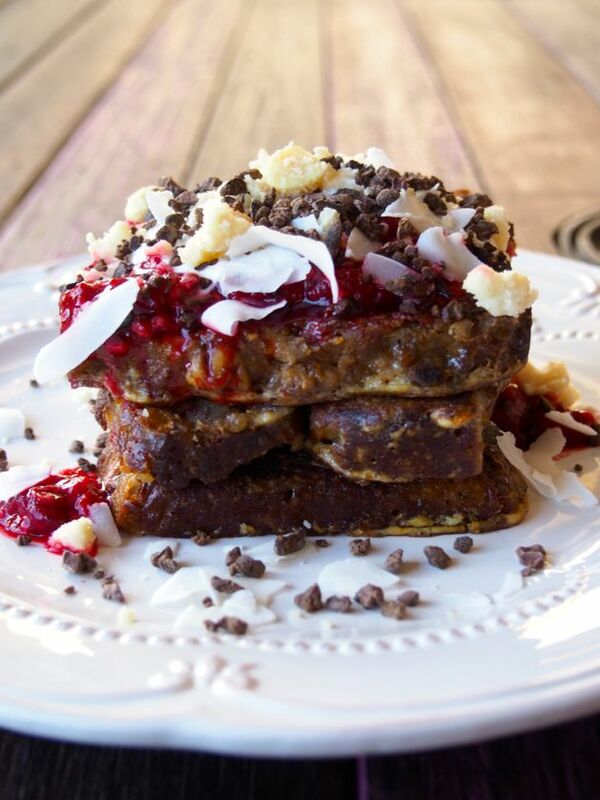 Stack your Paleo French Toast and top with EVERYTHING! Remember, you can try this recipe savoury... just use our savoury pumpkin bread! Yum!